One of the central themes of American Football League history is the AFL’s whole-hearted inclusion of minority athletes. AFL teams went into the historically black colleges and drafted immense amounts of talent – Ernie Ladd, Buck Buchanan, Otis Taylor and Willie Brown – just to name a few. In the following article, Chiefs historian Bob Moore talks about Lamar Hunt and his staff’s ideas and actions with black players. The Chiefs were one AFL team, along with the Chargers and Raiders in particular, who attempted to win with the best players they could find, not just the best white players. Lamar Hunt’s scouting department certainly showed the football world a few things. To this day, tough and great players can be found in all levels of college competition. They all are hungry and want badly to prove the experts wrong. 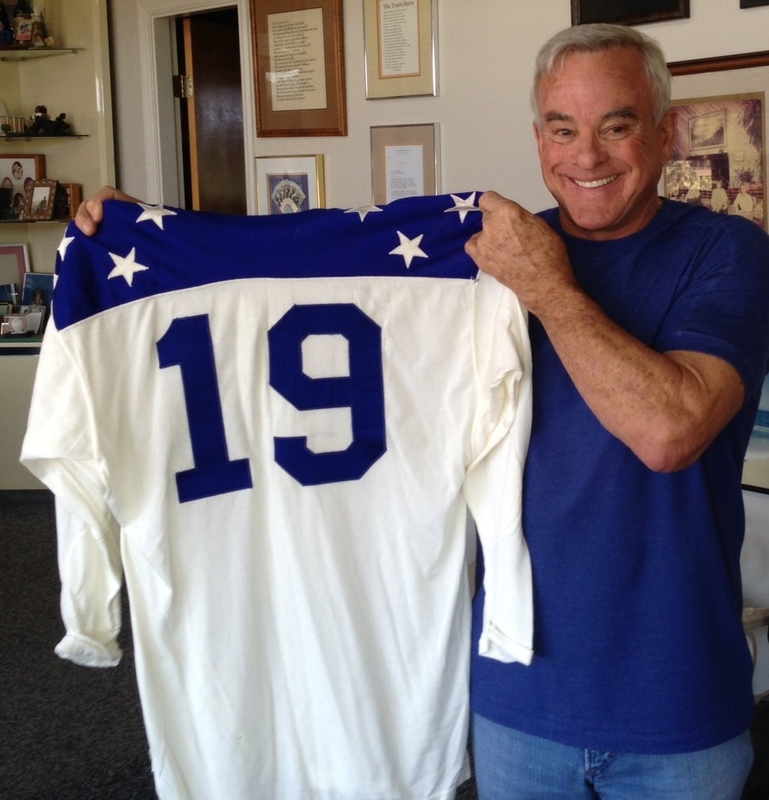 A nice article by Bob Moore albeit with two errors, as I understand things: Don Klosterman did ‘not’ sign Abner Haynes in 1960, to my knowledge – Klosterman was working for the Los Angeles (later San Diego) Chargers then & not the Dallas Texans. Too, Klosterman did ‘not’ take Willie Lanier in 1967 – Don was fired* by the Chiefs at the end of the 1965 season & went to work for the Houston Oilers in January 1966. Probably a result typos in these two referenced cases, but inaccurate just the same. * Reportedly, Klosterman was ‘released’ (the same term the Chiefs used on their 1975 team highlight film to describe Stram’s firing) for making a statement something to the effect that “Kansas City isn’t so much Heaven or Hell as Purgatory”. 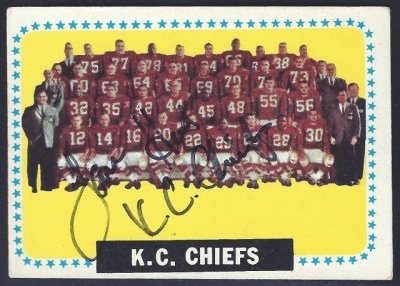 One other addendum: Don Klosterman was great, so too was Lloyd Wells – a name not mentioned who also was a member of the Chiefs talent department was Bobby Beathard, brother of former KC QB Pete Beathard. Bobby Beathard joined KC in 1963, and aft a brief term working for the AFL, returned to KC in 1966. Thereaft, he worked for the NFL ATL Falcons, later the MIA Dolphins, WASH Redskins & SD Chargers, where he helped each of those teams reach and/or win Superbowl’s. Unsung would be the word. It’s nice to see you back, 1967! I have been examining the issue of race and the AFL for a couple of years and I have a couple of observations. I don’t think there’s any doubt that Lamar Hunt set up a system that identified the best talent from all corners of the country including HBCU. Similar to Paul Brown, when he organized his first team Cleveland Browns team in the All American Football Conference back in 1946, Hunt knew that, if his team was to be competitive with the other AFL teams and, eventually, with NFL teams, he would have to build the best team he could. If that meant building a team with more African American players than the average NFL/AFL team, Hunt would do it because first and foremost he wanted to win and stick it to the NFL (Not like Al Davis but in his own way!). And as you say in your intro the idea of more open player selection was not just promoted by Hunt: several AFL teams signed larger numbers of Black players than was customary at the time. Back in college, I had a professor who taught urban studies at University of Michigan named Donald Deskins who played on the 1960 Oakland Raiders. He told me that he remembered that, during several games, the Raiders fielded a defense with 9 or 10 African American players which would have been unheard of at that point. I have tried but been unable to confirm his recollection. Also, the Denver Broncos and San Diego Chargers seem to have a larger number of Black players than other teams at that time. 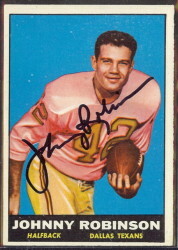 Finally, in watching the documentary series, Full Color Football, Abner Haynes mentioned that, a number of the Black players who were involved in the all star game boycott in 1965, were out of the league by the next year, and that he received some flak from the Chiefs for his role in the boycott. I’ve tried to verify Haynes claims without finding complete correlation. But if that is the case, I would offer that race blindness player selection in the AFL was a positive contributing factor to breaking down race barriers in sports and society as long as those players didn’t make any waves. 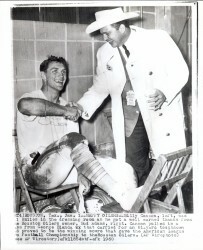 It is ‘interesting’ if not necessarily suspect that Haynes was traded by the Chiefs to the Denver Broncos exactly 4 ‘DAYS’ later, after the 1965 AFL All Star Game was played. Was it a coincidence? Haynes was said by some to have never recovered (emotionally) from the death of teammate Stone Johnson, injured in a 1963 game… others said he was never the same player though in 1964 he bounced back from a subpar ’63 season & averaged 5.0 yards per carry in ’64. 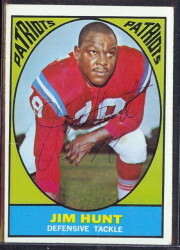 Haynes lasted just two seasons in Denver & ended his career in 1967 by playing for two different/other teams that season. KC also traded another of their black All Stars Dave Grayson to the Raiders in exchange for another black & former All Star CB, Fred Williamson & the Buffalo Bills also traded Cookie Gilchrist to the Broncos after the All Star game as well. So, whether under the guise of ‘football reasons’ or fallout from the All Star Game boycott, some players did end up elsewhere albeit not out of pro football altogether save for two and for reasons not related (death/retirement). For the record, far as the quote attributing to Haynes the comment [ “Haynes mentioned that, an number of the Black players who were involved in the all star game boycott in 1965, were out of the league by the next year” ], the record says otherwise. From the West squad: Bell, Buchanan, Grayson, Hill & Haynes (all Chiefs), Ladd, Faison, Buncom, Westmoreland (all Chargers), Daniels & Powell (both Raiders) and Brown (Broncos). From the East squad: Dubenion, Warlick, Gilchrist & Byrd (all from the Bills), Plunkett, Hill & Snell (all from Jets), Antwine & Garron (all from the Patriots) & Blanks (Oilers). Of those 22 players, only two players did not return in 1966 (Hill, due his death at the end of 1965) and Warlick, whether due retirement or the ravages of time (he turned 34 in ’66.) Of note, some were traded or became free agents: Ladd & Faison ended up in Houston with the Oilers & Miami with the Dolphins respectively in 1966 due variously to contract / tampering / injury issues, reportedly. On the other hand, reading between the lines of the trade (link below), the impression left is that it did not come as a complete surprise, for whatever reason(s). 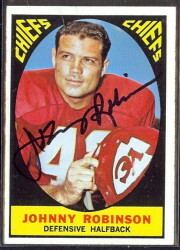 Too, the guy the Chiefs acquired for Haynes (Jim Fraser) was a backup LB/P in KC. Though he played starting RLB/P for the Broncos he wasn’t going to / didn’t beat out the Chiefs EJ Holub at RLB or KC’s P Jerrell Wilson (despite Fraser leading the AFL in punting x 2, nod the altitude in Denver. He averaged 27.0 yards per punt (he had only 3) in KC, then 37.2 and 35.5 in his final two pro seasons with Boston and New Orleans. The upshot of all of this: Haynes wasn’t happy in KC it appears, and the boycott by black players probably hastened the Chiefs decision to trade him; ditto for some others who are referenced afore. Long live the AFL its memories, mostly noble if with a bit of possible rancor, surmised.